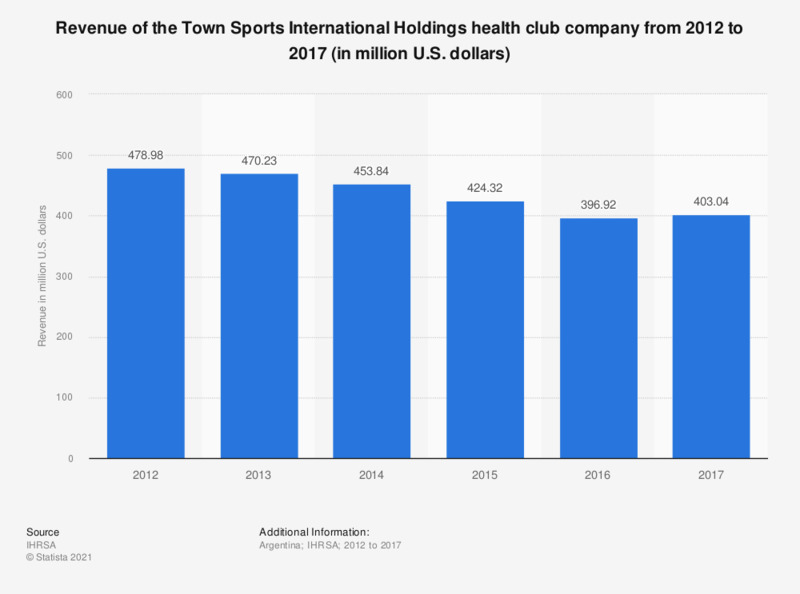 The statistic depicts the revenue of the Town Sports International Holdings, Inc. company from 2012 to 2017. In 2017, the health club chain generated a revenue of 403 million U.S. dollars. In the same year, the New York (USA) based company operated 165 clubs.